Do your employees have some training or qualifications you think could be similar to a GWO standard? GWO has developed a merit process to help assess existing qualifications, training and curricula. 'Merit Assessment' ensures that similar training matches the learning objectives of GWO standards. If it does, an equivalent GWO training record can be awarded to the individual concerned. This record can then be uploaded into WINDA. 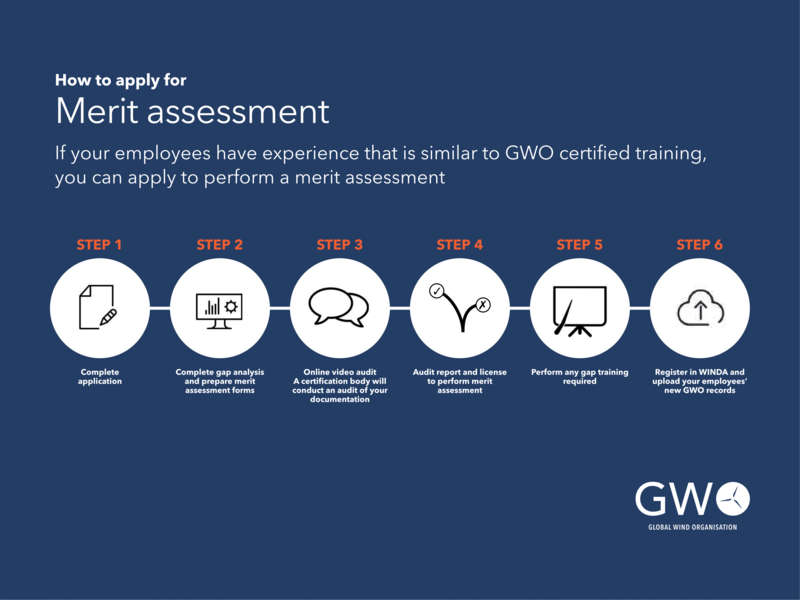 For employers, the merit process includes a formal application and gap analysis (to identify if any gaps that may exist between your training and the relevant GWO standard. The process requires certain documentation as described in the Criteria for Merit Assessor and a subsequent video audit.